As more users are accessing online forms through a mobile device, we’ve added two ways to share a form with mobile users. Each form now comes with it own QR code and short URL, to be found in the Form Publishing Options screen of the form creator. 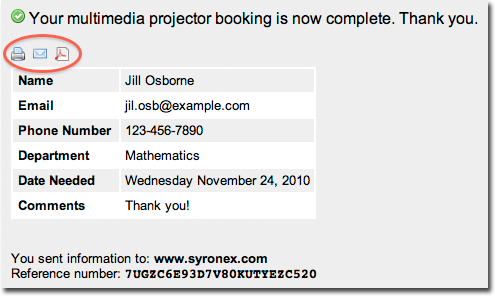 We’ve also made it easier to embed a form on Facebook. Users are increasingly accessing online forms on the go through their iPhone, smartphone, iPad or other tablet. Recent figures from market research firm IDC suggest that by 2015 more US users will access the Internet through mobile devices than through traditional PCs. 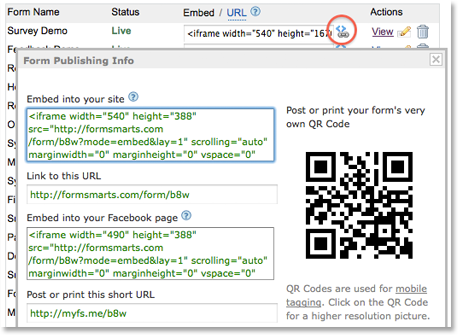 Online form publishers can and should take advantage of the QR code scanning functionality available on mobile devices to bridge the gap between offline and online content. A QR code is a type of two-dimensional (2D) barcode popular in the mobile industry and for which free scanning apps are readily available for (if not built in) most mobile platforms. By printing the QR code provided by the form builder on ads, posters, fliers, and any paper form or document (mobile tagging), you’re allowing mobile users to access an online form without typing, simply by scanning its QR code with their phone. Avoiding typing is a convenience for users, and it also eliminates the risk of errors when entering the URL. For those cases where distributing a QR code is not practicable and for mobile users who haven’t yet installed a QR code scanner on their phone or don’t know how to use it, we’ve also made all online forms accessible via a short URL such as https://f8s.co/7kb. If this doesn’t fully eliminate typing, it at least makes typing a form URL a less frustrating experience and shows mobile users you do care. And again, it reduces the risk of making an error when typing the URL. Posted on Oct 3rd, 2011 in form builder. If you’re using FormSmarts’ Export to Excel feature, you may have already noticed that we’ve updated the report generator. As well as several other minor changes, we’ve added a second way to specify the date range over which the report is generated (in addition to selecting a start and end date) by choosing a preset time period. This is meant to further simplify the task of generating a report. The preset periods available are Today, Yesterday, This Week, Last Week, Last Seven Days, This Month, Last Month, Last 30 Days. For the time period options that depend on the first day of the week (This Week, Last Week), we use the default for your country, as set in your account. You can change this in the Report Generator under More Options. Do you find the new date range feature useful? Which one do you anticipate you will use most? Should we add more (e.g. quarter)? Please give us feedback by posting a comment, via Facebook or Twitter. Posted on Sep 16th, 2011 in form builder. 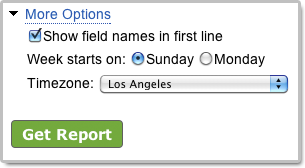 Tooltips — A help icon next to text fields now shows the field’s description and validation information on hover. You may want to review the field description you provided at the time you created your forms. Variable form width — The width of embedded forms can be resized down to 360px without side-effects, and should degrade well beyond that. 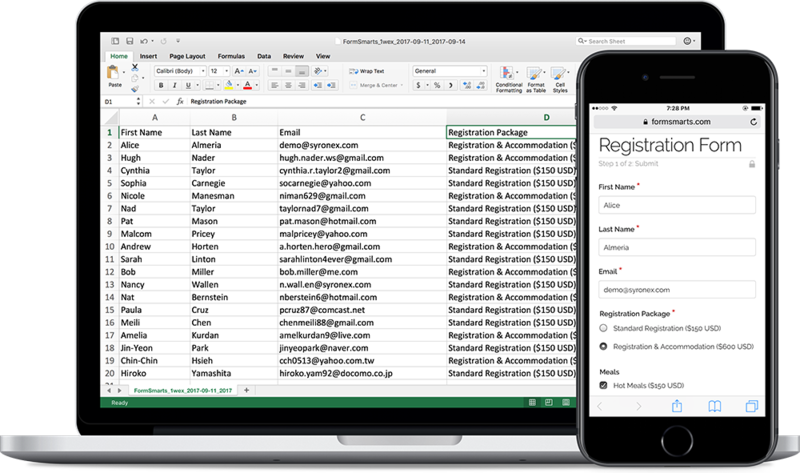 Mobiles forms — Although our forms have always been accessible to mobile users, we now provide a specific template for standalone forms accessed from mobile devices. If your site visitors include a fair proportion of mobile users, you should also provide a link to the standalone form whenever you embed a form on your site. 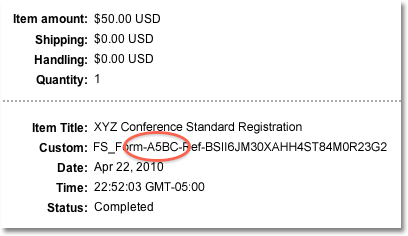 If you installed the form embedding code on your website before August 2008, you should upgrade it to benefit from the new features. Important: We’re now publishing most updates via our Twitter and Facebook pages. Please subscribe for updates and service status information. Posted on Sep 18th, 2009 in form builder.